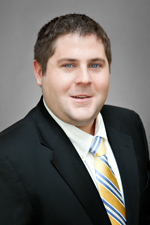 Devin Noble concentrates his practice in the areas of business litigation and transactions, corporate law, and bankruptcy law. He represents and advises clients from a wide array of industries in both litigation and transactional matters. Devin's practice at Hinshaw spans nearly a decade. During law school, Devin served as an extern to the Honorable Philip G. Reinhard, U.S. District Court for the Northern District of Illinois in 2010. In addition to his other academic accomplishments, he graduated first in his class from law school.